The modern facilities at the recently built San Lázaro Nursing Home for Elderly People include large, comfortable and light common areas with spacious terraces and a magnificent garden for spending pleasant, relaxing moments in contact with nature. The Nursing Home for Elderly People is divided into different, independent cohabitation units each with its own dining room and living room, where people live according to their needs in a setting ideal for providing fully personalised care. 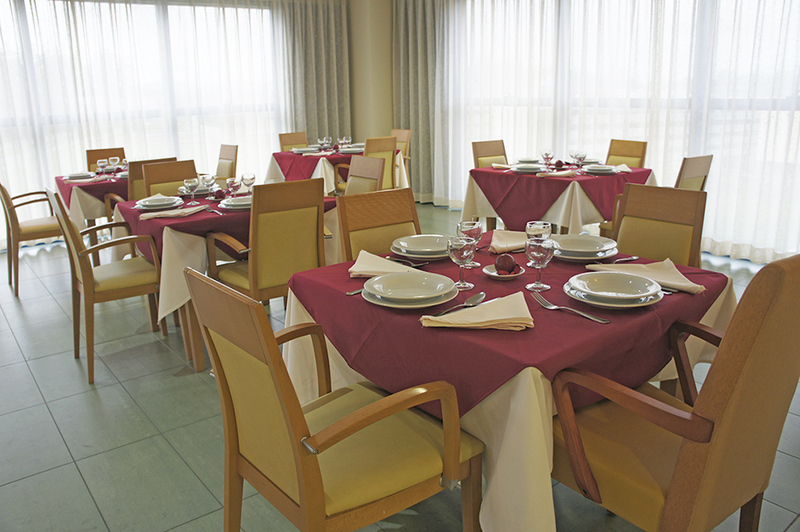 The DomusVi San Lázaro Nursing Home for Elderly People is alongside the San Lázaro Stadium, in a wonderful setting very close to the Santiago de Compostela Conference Centre. The public transport facilities in the area are excellent, making it easy to get into La Coruña with all the facilities of a city. At the same time it is far enough from the centre to make it a peaceful place to live. DomusVi San Lázaro has private spaces as well as spaces which are partially subsidised by the Xunta de Galicia.